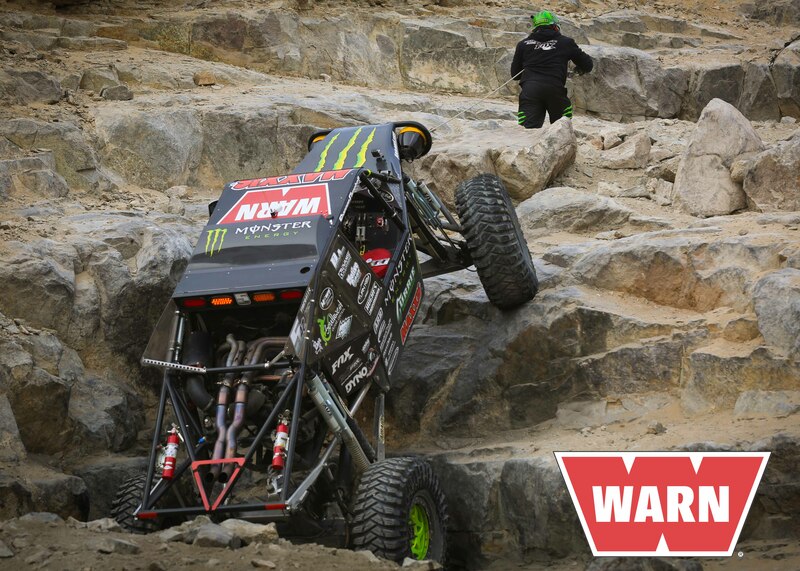 Clackamas, OR (2/14/14) — Warn Industries winches are clearly the winch of choice for the top performers at the 2014 Griffin King of the Hammers presented by Nitto Tires. A total of $2900 will be paid out to the winners of Friday’s Griffin King of the Hammers race, Thursday’s Smittybilt Every Man Challenge race and Wednesday’s UTV race. “I have always run WARN and have never run anything else. I probably own 10 of them between all my different cars,” said Loren Healy, the current 2014 King. Thursday’s Every Man Challenge race had WARN winches taking the checkered flag first in all classes. Congratulations to WARN drivers Erik Miller, Stock Class winner; John Currie, Mod Class winner; Brad Lovell, Legends Class winner and our own Jessi Combs, Spec Class winner. In Wednesday’s KOH UTV Race Mitch Guthrie claimed his 5x King of the Hammers UTV class championship with a WARN winch.